Medieval archaeology is a relatively young discipline. It relies heavily on and contributes to the neighbouring disciplines of history and geography as well as certain of the natural sciences. The kinds of sources investigated in the context of medieval archaeology also cast light on many aspects of life in later centuries. The main sources used are: graveyards, churches and churchyards; castles and fortifications; rural and urban settlements; technical production sites and routes of communication. Closely allied to these are the numerous finds of small objects of everyday life, from cutlery and tools to animal remains and grain. 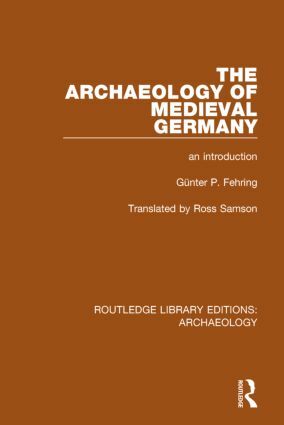 This book is a comprehensive discussion of what can be established from the use of such materials about the culture and daily life of medieval Germany. Each subject is augmented with the use of many illustrations. Besides methodological questions, the author considers what can be learnt about the history of settlement and architecture, of technology, of economic and social matters, of churches and missions, and of population, diet and vegetation.